Your text with dropcaps here2014 study at the Gill Heart Institute of the University of Kentucky found that the Mediterranean diet, which consists of foods rich in vitamin E, is associated with decreased human mortality rates from well-known causes of death. 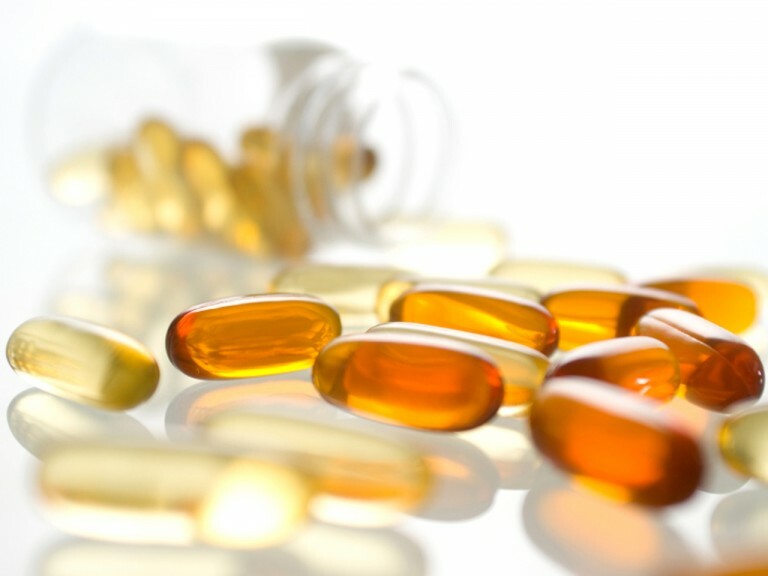 With such a promising history of improving health, vitamin E has been used in the development of a new therapy by researchers for breast cancer treatment. The therapy works by targeting a subpopulation of tumor cells called tumor-initiating cells (TICs). Mitocans are designed to destabilize mitochondria in TICs, hindering their metabolism. Eventually, the TICs undergo apoptosis due to the absence of energy rich compounds such as ATP needed to carry out metabolic functions. Mitocans are distinguished by the molecule they target in mitochondria. A type of mitocan derived from vitamin E is α-tocopheryl succinate (α-TOS). α-TOS works by targeting the mitochondrial complex II (CII), a coenzyme that aids in the production of adenosine triphosphate (ATP), the energy-rich compounds required by cells to function properly. α-TOS affects CII by disrupting the function of ubiquinone (UbQ), which generates ATP and protects the mitochondrial membrane from damage. In disabling UbQ, a cascade effect occurs that induces apoptosis in TICs. To promote the potential uptake of α-TOS by mitochondria, researchers modified α-TOS and labeled the new compound as vitamin E succinate (MitoVES). MitoVES was tested on breast cancer cells that were harvested from female mice and grown in the lab. Prior to harvesting, researchers grew two different types of cancer cells, adherent and sphere, in the female mice, designating one as the control group (adherent), and the other (sphere) as the experimental group in which to study TICs. Before treating the two types of cancer cells with mitocans, chemotherapeutic drugs were administered to test their effectiveness. The results showed that sphere cells have a greater resistance to chemotherapeutic drugs than do adherent cells due to the presence of TICs in sphere cells. After performing α-TOS and MitoVES trials, the researchers compared the cell death rates of the two and noticed similar results. However, MitoVES was more efficient at killing sphere cells than killing adherent cells. Researchers believe the difference was due to the greater uptake of MitoVES by the electrical potential of mitochondria as a result of the modification performed on the α-TOS molecule to produce MitoVES. From the results, researchers concluded that MitoVES promotes cell death in a similar pattern to its parental form, α-TOS, by affecting CII and interfering with UbQ. Further trials were performed with MitoVES on female mice with breast cancer to evaluate its efficiency in hindering tumor progression. After the seventh to eighth injection of MitoVES, researchers compared the female mice to the control group and discovered that the tumors receded by almost 80 percent. The study reveals the potential cancer treatments that could be developed from MitoVES, which is the first of its kind to link CII to the elimination of TICs in breast cancer cells. While researchers need to conduct further research to determine the clinical value of MitoVES, its efficiency as a potential anti-cancer agent is irrefutable. Researchers hope to utilize the CII-targeting properties of MitoVES in conjunction with other anti-cancer agents to yield greater results in hindering tumor progression in cancer treatments. The Advent of Genetic Testing: Cure or Curse?